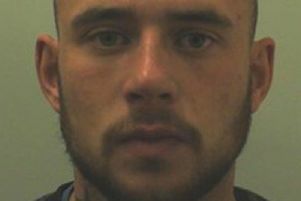 A man who was found in possession of a lock knife in Preston’s Primark store has been jailed for six months. Josef Malek, 49, of no fixed abode, was arrested at the store in the Fishergate Centre on September 1 and was found with a black handled lock knife. He failed to appear before Preston Magistrates’ Court but had indicated guilty pleas to being drunk and disorderly and possession of a blade in public. A charge of stealing clothing was dropped. The bench said custody was inevitable because it was his second similar offence, attracting a minimum jail term, and vulnerable people were present. A previous conditional discharge had expired only days before the offences. He must pay a £115 surcharge and the court ordered the knife to be destroyed.